Get expert advice on defective product injury claims with a free, no obligation consultation. It’s only natural to expect that any brand new product that you buy will be in good condition and more importantly, safe to use. Unfortunately, things do not always happen this way. Sometimes, some products that are not up to the standard slip through the safety checks and end up on the shelves. If you suffer a personal injury due to such a product, you may be entitled to file a claim for compensation. In legal terms, reasons for products to be considered faulty could range from contamination during manufacturing or poor product design to failure to display fair warning on the product or failure to recall a product despite knowing it is faulty. 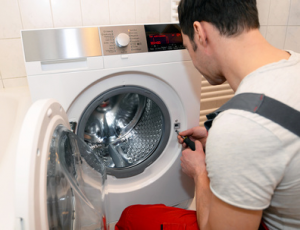 Under the Consumer Rights Act 2015, if you purchase a product that turns out to be faulty, you have the right to get your money back or have the item replaced or repaired. Your exact rights will be determined by the time that has elapsed from the date of purchase to the date that you discovered the fault or the date that you were injured by the faulty product. Within 30 days of purchase – If you find that the product is flawed or damaged when you try to use it the first time or the fault develops within 30 days after you’ve bought the item, it means the item was not of satisfactory quality and you are entitled to a full refund from the seller. After 30 days but within 6 months – If the problem develops after 30 days but within 6 months of the purchase, and it is not because of accidental damage, fair wear and tear or misuse, the retailer must repair or replace the product. If the seller wishes to refute your claim, the onus is on him to prove that the product was of satisfactory quality when it was sold to you. After 6 months – If something goes wrong after 6 months, you may still be entitled to repair or replacement but in this case, the onus is on you to prove that the product was inherently faulty andnot due to wear and tear, misuse or accidental damage. What Kind Of Defective Product Injuries Can You Claim For? A broken ankle caused by falling off a ladder that was not strong enough. An injury caused by a chair that broke beneath your weight. Burns caused by an electrical equipment that caught fire. Poisoning caused by food that was contaminated. Rash or scarring caused by defective or outdated cosmetics. Some types of services are also included under defective products. For example, if you are injured by a service provider such as a hairdresser or masseuse, you could claim compensation for injury due to a defective product. In any of the above cases, you may be eligible to file a personal injury claim against the retailer who sold the product to you, the manufacturer of the defective item or the service provider who caused the injury. More often than not you will meet stiff resistance from the retailer when you try to claim compensation, whether in the form of a refund, repair or replacement. To make a successful defective product injury compensation claim, there are a few things you must do. Take photographs of the defective product and make a detailed note of the accident, complete with the date and place where it happened as well as the how it happened. Keep all documentation relating to the product, especially proof of purchase. It’s okay if you do not have the purchase receipt. Anything that you can provide as proof that you bought the item from that particular retailer will do. This could include your credit card statement, bank statement or even a cheque stub. If you are planning on claiming for other expenses such as cost of medication and treatment, travelling expenses or loss of wages, you will need to keep all receipts as evidence. Report the defective product accident to the retailer and manufacturer as soon as possible. If the problem occured within 30 days of purchase contact the retailer and tell them you would like to reject the item and get a full refund. If 30 days have passed, you are still entitled to get the item repaired or replaced. If you are within the guarantee period, contact the manufacturer and ask for a refund. If both the retailer and manufacturer refuse to address your complaint, write a formal letter informing them that you are rejecting the faulty item under the Consumer Rights Act 2015. Also inform them that you will be pursuing the matter in the small claims court unless a full refund is offered. If, after sending the formal intimation, your problem is still not resolved, you may be able to claim compensation by filing a case in the small claims court. It is important to act fast if you wish to claim compensation for a defective product. The longer you take, the weaker your case is likely to become and the more difficult it will be to prove where the fault lies. Unless you are familiar with the legal process, it is always advisable to hire a personal injury solicitor to file the claim and represent you in court. Proving liability is complicated and you can expect the other side to strongly deny any responsibility for the fault. When you hire a personal injury solicitor, they will conduct a full assessment of your defective product claim to see if you have a strong case. If you do, most solicitors will agree to take up your case on a No Win No Fee agreement, which means you do not have to pay any upfront legal fees. You only pay after you have won the case and the compensation has been paid to you so you have everything to gain and nothing to lose by taking this route.